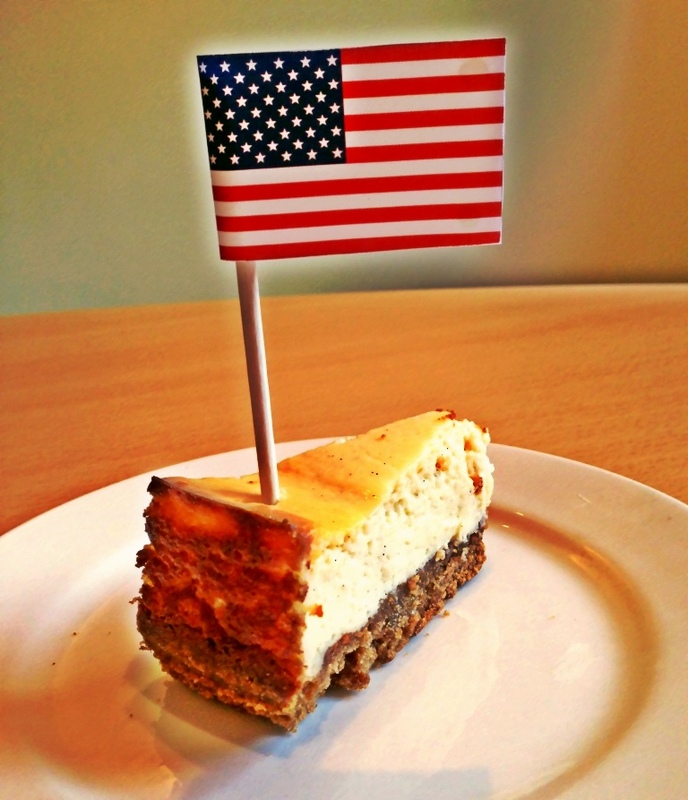 This was never really supposed to be a Fourth of July post (American Independence Day if you live under a rock…), but it occurred to me last night as I was baking the cheesecake, that it was an American recipe, and if I could get a wriggle on and post today, well, it would be quite fitting really! Actually it’s more of a sweetener (quite literally), for Rob, as a sorry-I’m-going-away-again; the last 6 months have been pretty much non-stop with travel (mostly for work, this weekend is for pleasure), but the end is nearly in sight! According to wikipedia (is it ever wrong? 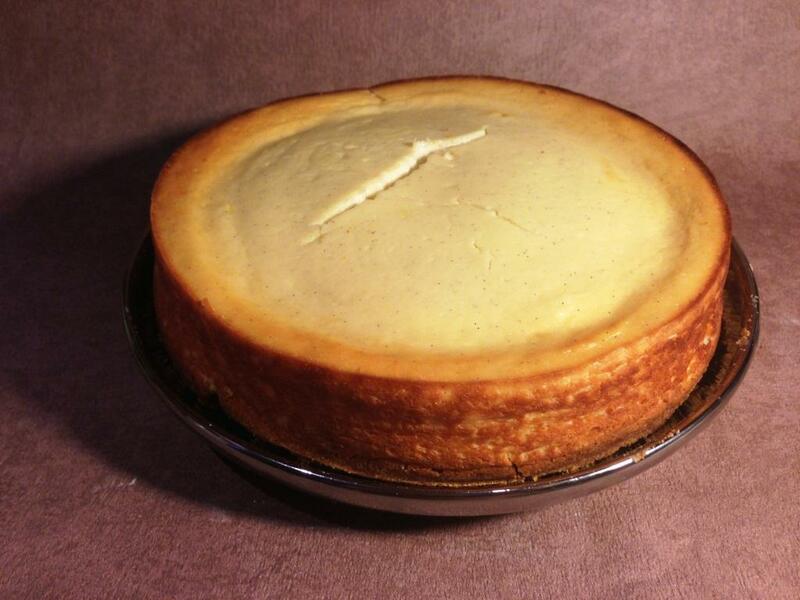 ), what makes it a New York cheesecake as opposed to any other kind, is the inclusion of the sour cream (although you could use normal cream as well, apparently.) I think this adds to it’s unique contrasts of flavour – the sour tang of the cream vs the sweetness of the sugar, the sharp lemon vs the sweet vanilla – and of course that gorgeous baked top. 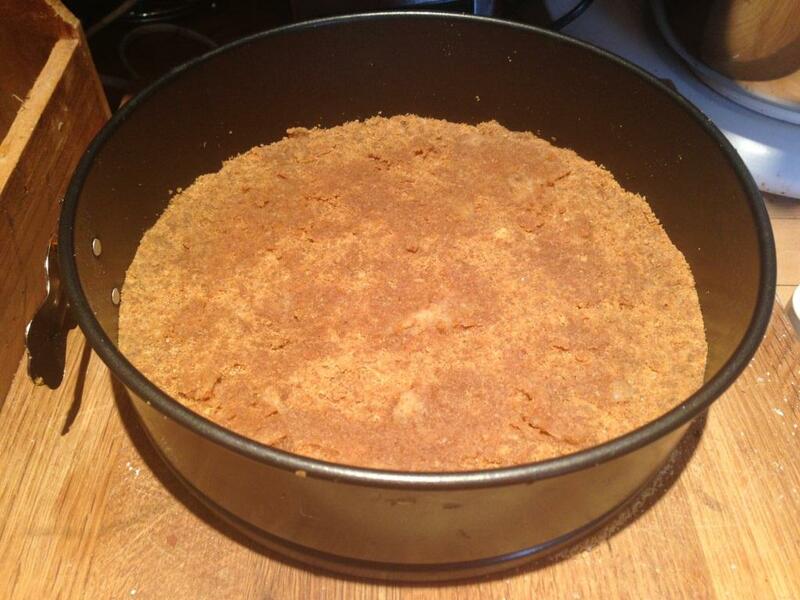 Crush the biscuits to fine crumbs (or use a food processor), and mix with the melted butter and 25g of caster sugar. Press firmly and evenly into the bottom of the tin (I’d recommend around an 8-10 inch, springform tin, with high sides). Bake in the centre of the oven at 180 degrees for 5 minutes. Remove from the oven and set aside. 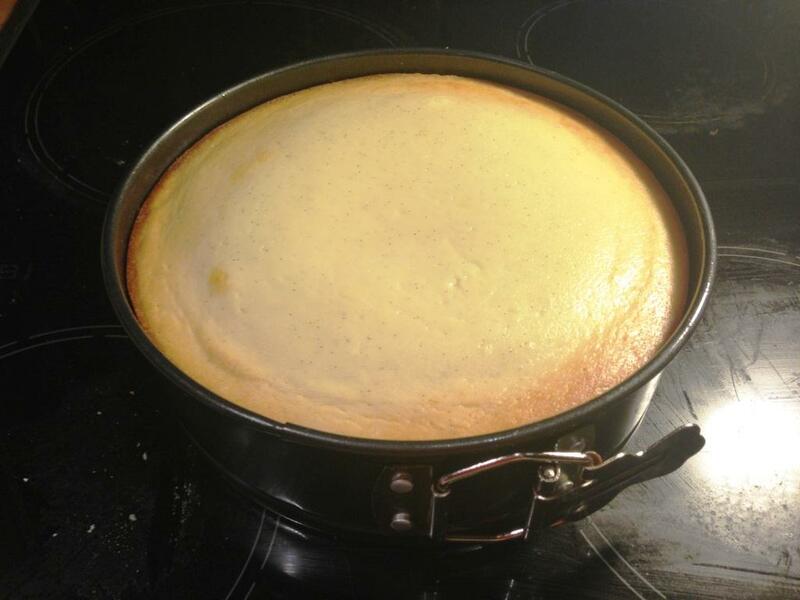 Place the cream cheese, sour cream, sugar, lemon, vanilla paste and corn flour into a bowl. Beat until well mixed and smooth – taste to see if any more sugar or vanilla is needed. Add the eggs and gently stir until just mixed. 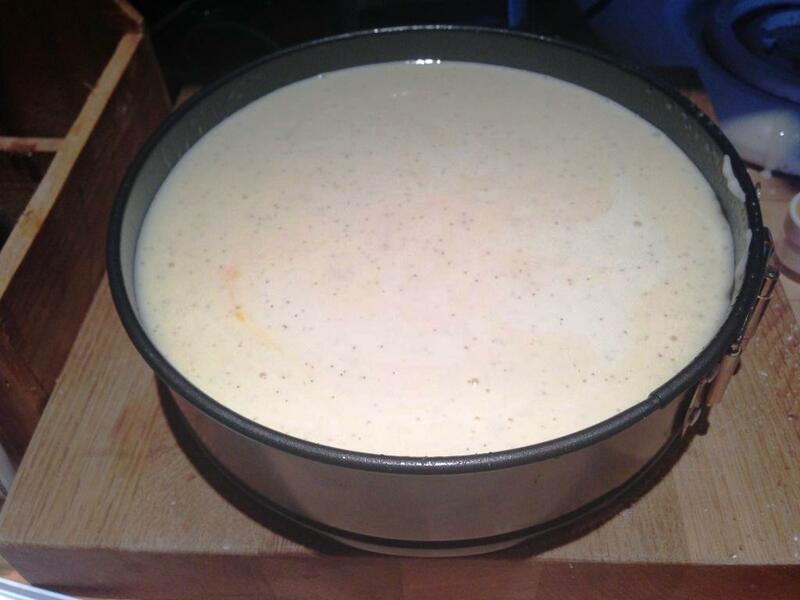 Grease the inside of the tin (I can’t advocate cake release spray enough), and pour the batter over the top of the biscuit base. As it’s quite a liquid mixture it should settle nicely and not need any evening out. 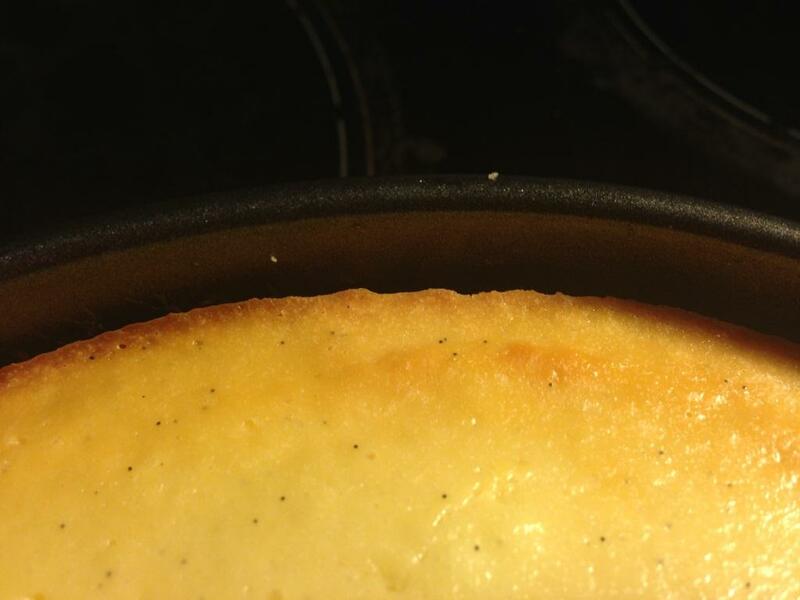 Bake for 45 – 60 minutes at 170 degrees. I covered the top of mine with foil for the first half an hour, so the top did not go too brown. After 45 minutes, keep checking back every 5 minutes, you want the centre to be just-set. The next part is very important – allow to cool slowly. The best method is to leave with the oven door ajar for an hour or so, and then take out and leave to cool completely in the tin. 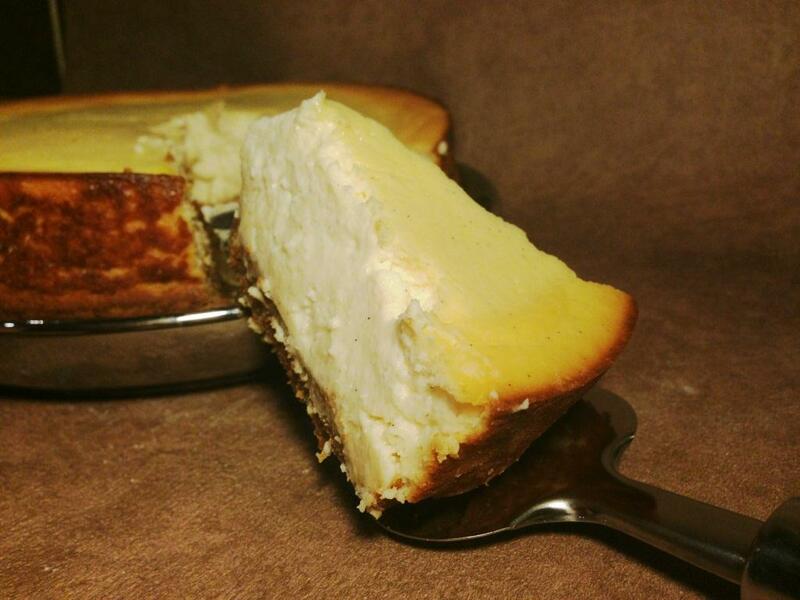 You should find that the cheesecake shrinks away from the edge during baking so will pop out easily. 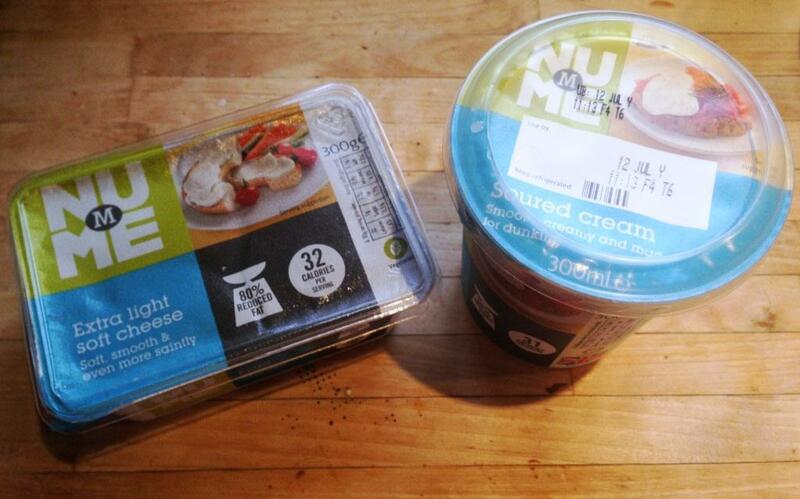 If it doesn’t, gently slide a knife around the edge to free it up. 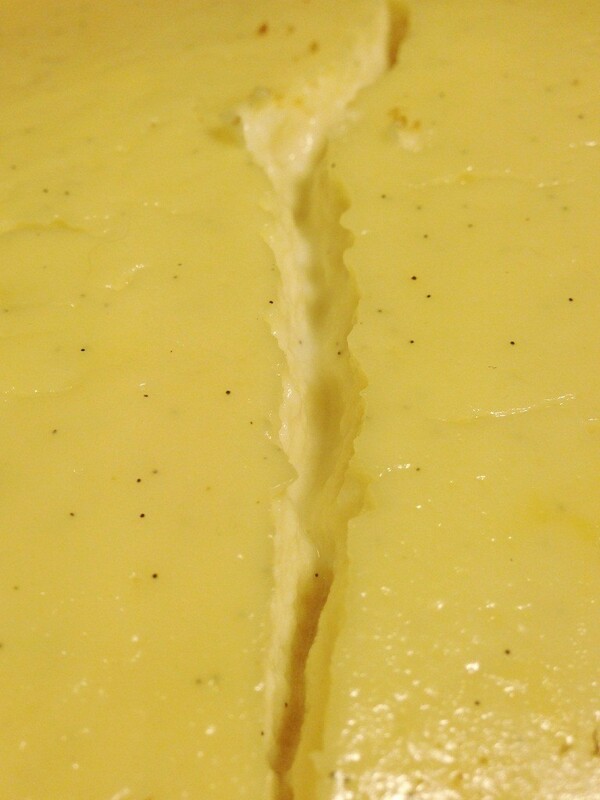 I prefer not to think of it as a crack, more a window to the smooth creamy inside… look at those vanilla flecks! Once cool, keep in the fridge and serve in big wedges. 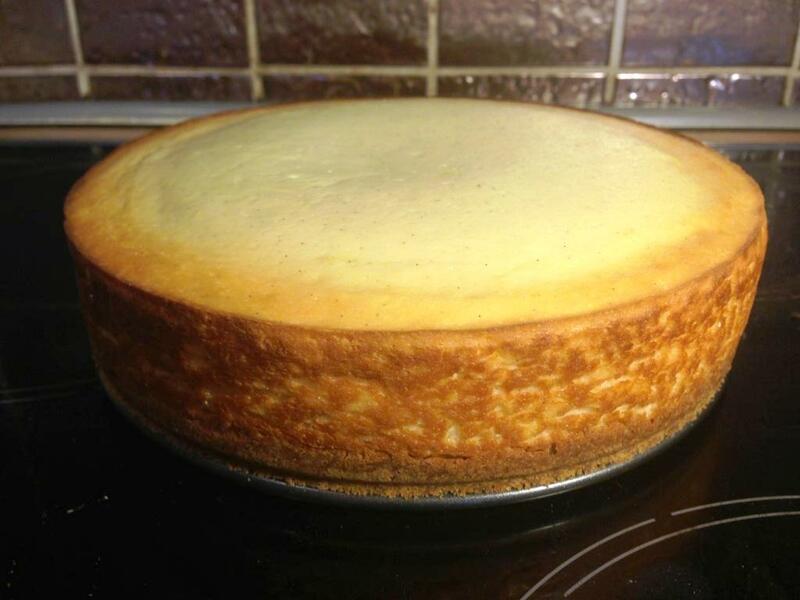 This entry was posted in Baking, Cheesecake, Sweet stuff and tagged baking, cheesecake, fourth of july, ingredients, low-fat, New York, recipe by bakearama. Bookmark the permalink. When do you add the sour cream is in ingredients, but not in Method,I’m hoping at the same time as cream cheese??????? 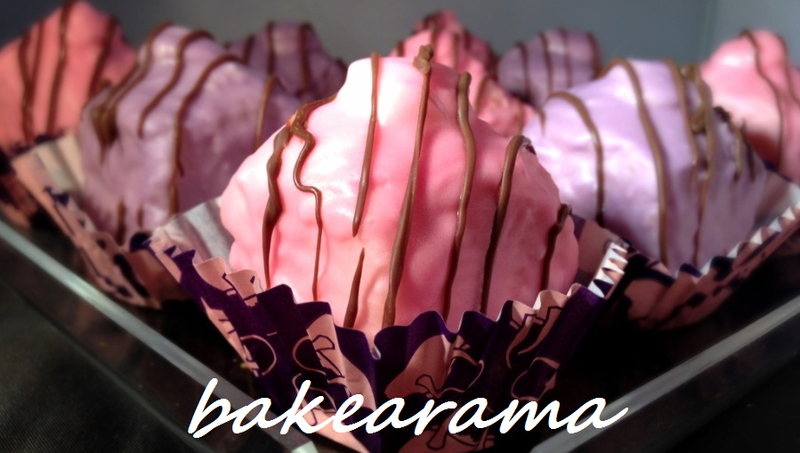 Hi I noticed that you liked a post on my blog, thanks so I returned the favour! I’m really impressed!